A wonderful old delicatessen that's been around since 1944, the family-run Lina Stores is hugely popular with Soho's Italian population and stocks all the essentials, such as homemade pesto, pasta, ravioli, sauces, and a range of hams, cold meats, salamis, breads, olives and cheeses. Offering all the traditional Italian basics as well as a superb selection of fresh pasta with different fillings and homemade sausages, the legendary deli sells breads, panetonne and a wealth of other Italian delicacies. Italian branded dried pasta, sauces and every day basics are also on offer and, come Christmas, traditional cakes, biscotti and chocolates fill the shelves. Lina Stores has been refurbished but the little place has lost none of its charm. The centre-piece remains the superb marble and green-tile deli counter, around which legs of ham hang from the rafters and shelves are jam-packed with great, tasty produce. 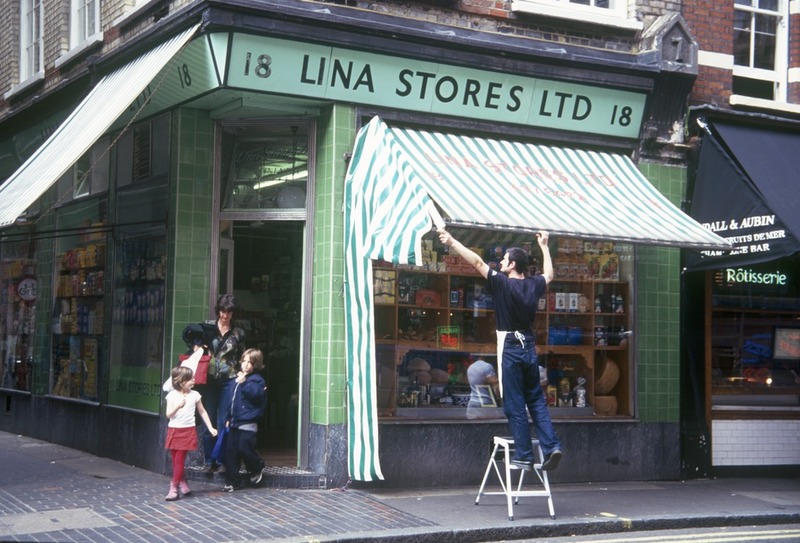 What are the best dining options near Lina Stores London? Lina Stores gyms, sporting activities, health & beauty and fitness. The best pubs near London Lina Stores. Lina Stores clubs, bars, cabaret nights, casinos and interesting nightlife. Where to have your meeting, conference, exhibition, private dining or training course near Lina Stores. From cheap budget accommodation to luxury 5 star hotels see our deals for Lina Stores hotels, including Every Hotel Piccadilly from 91% off.